Our opening panel explores community engagement and increasing physical activity from a number of different angles. • Which opportunities do international sporting spectacles provide for the community to be inspired and get active? • How do we harness the power of sport to improve a community’s health and well-being? • What is our role and responsibility? Representatives from UAE sport will join Jin Teik OON on stage to discuss how Abu Dhabi has placed sport at the centre of its strategy to elevate the health and well-being of communities. A quick fire speed networking session to ensure you meet as many people in the room as possible in 10 mins. Bring plenty of business cards! The KU-Strata Carbon Bicycles Project is a joint project between Khalifa University, Abu Dhabi Sports Council and Strata to develop state-of-the-art bicycle frames. The project uses aged aerospace carbon prepregs to manufacture carbon tubes for bicycles. Join Sanjeev Rao as he provides an exclusive tour of the lab and its work. An amazing Special Olympics World Games Abu Dhabi 2019 proved that sport is a powerful tool for inclusion and change. Its Unified Sports program brought together athletes, VIPs, celebrities and sponsors to play sport. The Healthy Athletes program trained healthcare professionals to treat people with intellectual disabilities. And the Volunteers program gave all of us the chance to contribute. 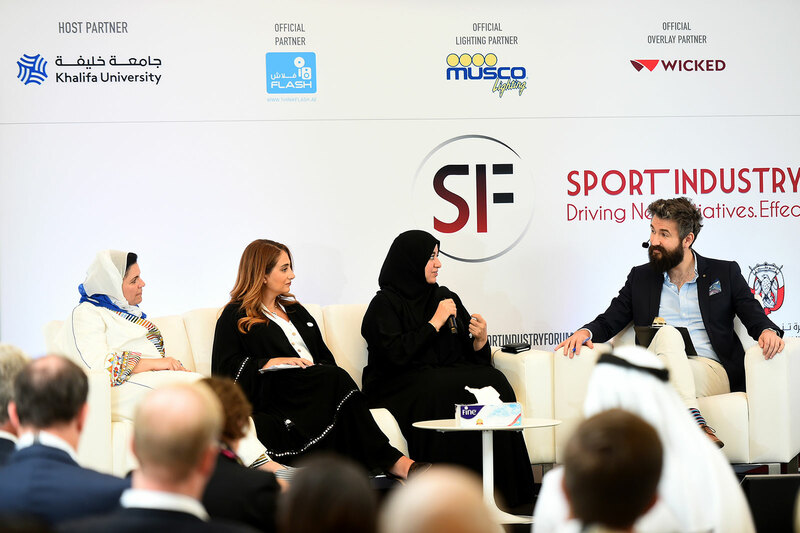 This panel explores how Abu Dhabi can use the positive experience of the Games to make sport for all, by including previously neglected segments of society. Now the real work starts! This is a rare opportunity to contribute to Abu Dhabi policy. Help to redefine what community sports means to Abu Dhabi. The audience will be split into separate roundtables to tackle the same subject, using the below points as a starting point for discussion. Each roundtable is tasked with identifying five priorities for the improvement of community sports. The recommendations will be shared with the Department of Community Development and Abu Dhabi Sports Council leadership teams. • How do you think sport should benefit the community? • Which objectives should community sport events, programs and activities meet? • Where can the sport offering for the community be improved and increased? • How should school sports be further developed as the base for grassroots? • Where and how should the government invest? 13.30 Closing Remarks from Moderator and PRIZE DRAW!